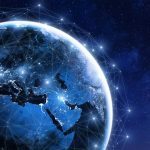 Whilst the origins of the Internet date back to the 1960s, it wasn’t until 1991 that Tim Berners-Lee and the CERN Institute introduced the public to the World Wide Web. It is hard to imagine a World today without this technology. However, as Sir Tim begot eCommerce, Satoshi begot Retail Blockchain, Web 3.0 and a decentralised utopia. William Mougayar (linkedin) says we all have 3 jobs; one in which we are paid, one in which we participate (family/home related) and one which has been delegated to us. Let me explain the third. These are jobs that were once done by others but which we now do ourselves; booking travel, accommodation, taxis etc. Some of us may see this as taking back control and ensuring we truly get the cheapest deals available, the reality is that the Internet drives these lower prices and price comparison websites compete aggressively for our business anyway. These companies are able to offer lower prices than the traditional Travel Agents because they do not have their costs (physical presence, staff etc) and have outsourced their booking process to you. Web 2.0 companies (Facebook, Amazon, Google etc) are those that took the opportunity presented by the then new Internet technology, and exploited it. We shouldn’t be surprised, frustrated or upset by this as it is the World in which we live, and willingly participate in. These companies have benefited from us and we have contributed to their growth, unwittingly but willingly. They profit by selling our behaviour to advertisers and by utilising it to their commercial advantage – big data is big business. Facebook have 2.2 billion users, nearing one-third of the World’s population. These users have helped drive a market capitalisation of $470 billion, ahead of Alibaba’s $430 billion but behind Google’s $810 billion. Each of these are behind the first two companies in history to have reached a market cap of $1 trillion, Apple and Amazon. Big data is indeed big business, and when you add Microsoft, IBM, Instagram, YouTube, Netflix and the Banks into the mix, you start to realise just how much of our so-called personal data they know. In fact, collectively, they pretty much know everything we do in our personal lives. Let’s just reflect for a moment on what these companies know about us. Facebook knows who we know, how and when we interact them, where we go and what we do. Apple & Google are similar, in fact, using GPS location they know exactly where we are and track our movements in so much detail that they can tell if our journey to/from work is going to be interrupted. Combining this with our calendars they can provide advice on when to set off for appointments. Amazon, Alibaba and Google know our shopping habits, not only what we buy but we’d like to buy. Past behaviour is an indicator of future intent, both in terms of what we’re likely to buy and also when we’re likely to have the money to spend. These are macro examples, imagine the microscopic analysis that these companies are doing. There are 26,500 people listed on LinkedIn with Analyst in their job title who currently work for Amazon. The recent scandal at Facebook over their association with Cambridge Analytica and the realisation that they were, in the eyes of many, abusing the trust users had placed in them, brought privacy data concerns crashing to the fore. Is it time we regained control over our privacy and permission to use our data? Web 3.0 changes this, in that we are able to regain control and manage who is able to view and use our behavioural and personal data. Blockchain applications offer greater privacy controls to those that want it. It will also reward us for what we currently give-away for free. Blockchain technology is being used to build decentralised apps that will reward us for our Attention, Behaviour & Considerations in that advertisers will pay us for viewing their adverts, accessing our behavioural movements and for us sharing our opinions on products, services, values and a whole-host of other intimate detail. We’ll do this via a permission based authority system, in other words, we’ll decide who has access to what. It may even be driven by an automated auction system in that these Web 2.0 companies bid against each other for access to our data. 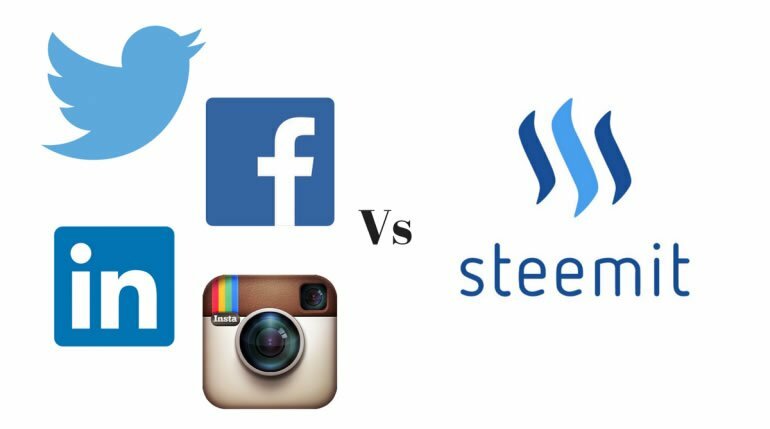 Steemit is a blogging and social media platform that’s built on the Steem blockchain. Users are rewarded for their contributions, publishing content, and for their interactions using an upvoting system to recognise content of interest and value. Echoes of the Reddit platform are obviously comparable. Rewards are allocated in a cryptocurrency token named Steem, which can be powered up into Steem Power (platform credibility metric) or traded for Steem Dollars, which in turn can be exchanged for US Dollars. Users are also rewarded for curating (discovering) popular content, which involves voting on comments and post submissions. Vote strength and curation rewards are influenced by the amount of Steem Power held by the voter, which may not be the best way to achieve a genuine quality score as those with the loudest voice (on-site credibility / steem power) becomes the most influential. Steemit includes third-party applications, such as DTube, a decentralized video platform based on the InterPlanetary File System (IPFS) protocol. DTube is similar to YouTube, but without advertisements, instead it uses the built-in Steem currency which gets awarded by users upvoting videos. Web 3.0 in 2018 is probably around 1998 in the evolution of the Internet, which would make Amazon 2 years old and Google simply a twinkle in Larry & Sergei’s paternal eyes. 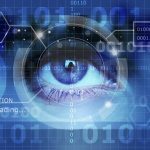 Privacy concerns are real and large corporate companies that abuse, misuse and steal users’ personal and private data are at the fore of many individuals concerns. 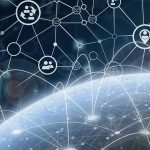 Platforms that use blockchain technology to address these concerns are pioneering an alternative approach to social interaction and are likely to succeed within a Web 3.0 utopia. The messages are loud and clear, if you want my attention and interaction, engage with me, don’t alienate me. If you want my data, first seek my permission, then reward me. Retail Solutions is the home of blockchain solutions for the retail industry. Blockchain technology was designed for peer-to-peer transactions in a secure, transparent network of immutable ledgers. There are many companies using blockchain technology in creative ways to disrupt Retail. We support retailers to identify real-world applications to solve their everyday problems utilising blockchain technology. We do this in two-ways, by providing advice and consultation on retail blockchain projects and through a comprehensive retail blockchain resource for Retailers across the World. Blockchain applications in a retail environment will deliver 4 main benefits; Reduced Costs, Faster Payments, Increased Transparency and Improved Security. 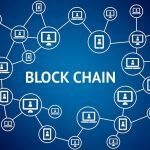 A blockchain is a database that is shared across a network of computers (distributed ledger). Once a record has been validated, it’s added to the block (ledger), after which it cannot be changed. To ensure all the copies of the database are the same, the network nodes make constant checks to ensure they have the latest version of the blockchain. Blockchain emphasis is placed on decentralised peer-to-peer transactions and are therefore not controlled by a single centralised entity. The database is completely transparent and retains a historic record of all transaction data. Blockchains are however secured by complex cryptography rules and are only accessed by public and private keys. Blockchains have been used to underpin cryptocurrencies like Bitcoin but the technology far exceeds this original intention. Retail Solutions founder Mark Taylor, has extensive experience in Retail & eCommerce. His Retail Blockchain experience is more recent and what started as a mild curiosity is now a passion. As a Retail Blockchain Advisor, he is helping retail companies to explore blockchain technology in Retail. So if you are looking to reduce costs, see faster payments, increased transpareny and improved security, get in touch. pCommerce is where buyers & sellers are able to transact with each other in a direct, transparent and secure way, decentralised from any controlling organisation and devoid from any onerous fees. Retail Solutions is the home of blockchain solutions for the retail industry. Retail Blockchain is the generic term for disruptive technology to record digital transactions cryptographically on a distributed ledger within the retail sector. There are many companies using blockchain technology in creative ways to disrupt Retail and we want to feature them here to build a comprehensive resource for Retailers across the World. Please get in touch and let us know of any you think we should feature.